"No matter how much icing your birthday cake has, it can’t be sweeter than you." 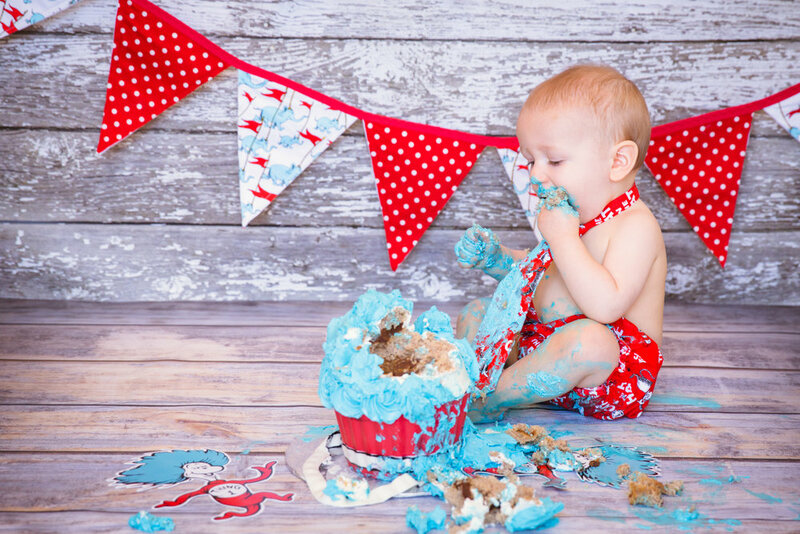 How does the cakesmash photoshoot work? After your portrait session is scheduled (session fee is paid + contract signed) we will schedule an in-person or over the phone consultation. This is the time to fill me in on everything you want from your session. I will guide you every step of the way to make this an easy process with a fantastic end result! I will help you with what to wear, selecting props, outfits, decorations, choosing a bakery, and will discuss how you want to display your finished portraits as artwork in your home. I am an on location photographer, which means that on the day of the session we will meet at your residence and I will take pictures in the comfort of your home. My portable studio system and experience will ensure we capture the most beautiful images of your baby with the least amount of disruption to your household and the most amount of parental enjoyment possible. I want you to have fun. I want things to be relaxed, flexible, and as comfortable as possible for you and your family. What happens during the cakesmash session? This is a fun and extremely memorable photoshoot. 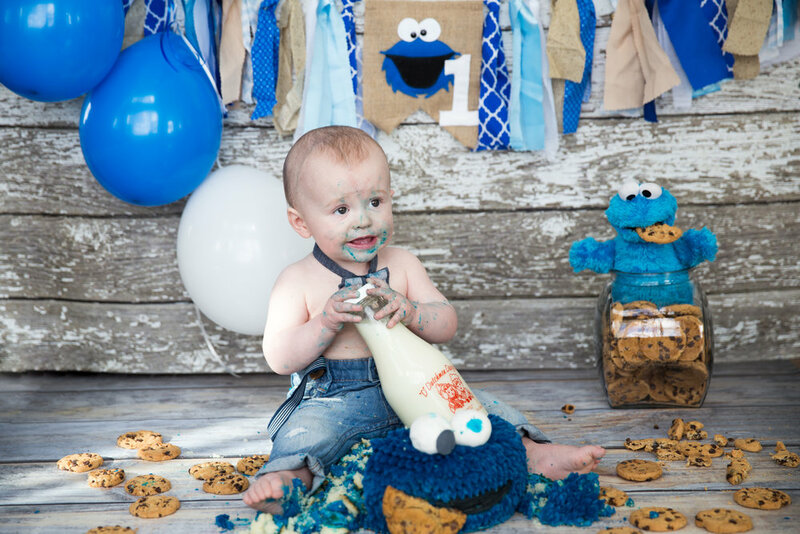 Usually we schedule this session close to your baby's 1st birthday. I will come to your house with my portable studio and all necessary props. All I need from you is a cake. I don't provide cakes due to allergies and food restrictions, however I can recommend a few different bakeries or you can go ahead and bake your own masterpiece! I usually schedule this session right after baby's morning nap, so that he/she is happy to see me. 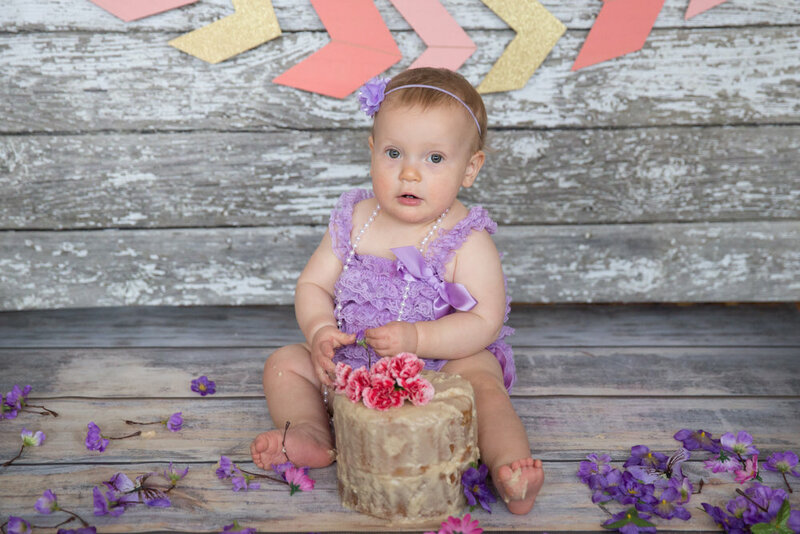 We start with a few family / sibling shots inside or outside (weather permitting), followed by a few pictures of the baby by him/herself, cake smash and finishing with a bubble bath or milk bath. What if I I have a specific idea / theme in my mind for the photoshoot? 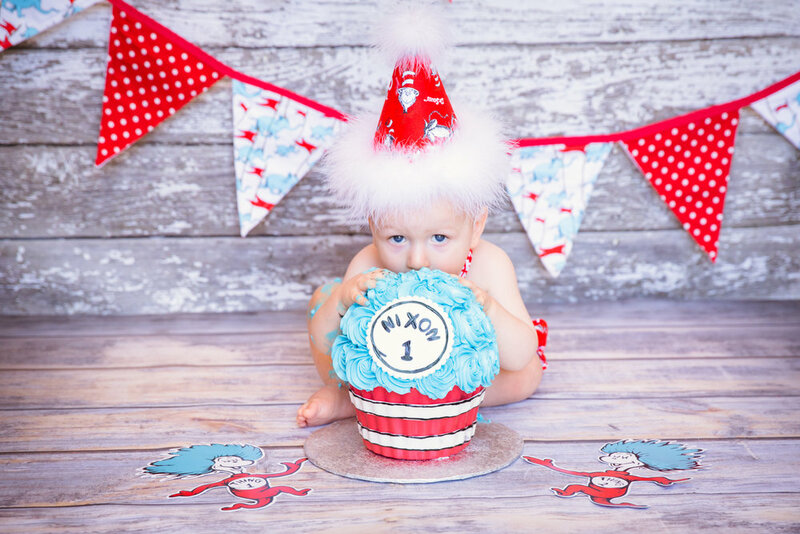 I love themed sessions, we can work together on ideas, colours and collaborate on props to make sure this photoshoot is memorable and fun for everyone. What if I don't want to do a cakesmash? 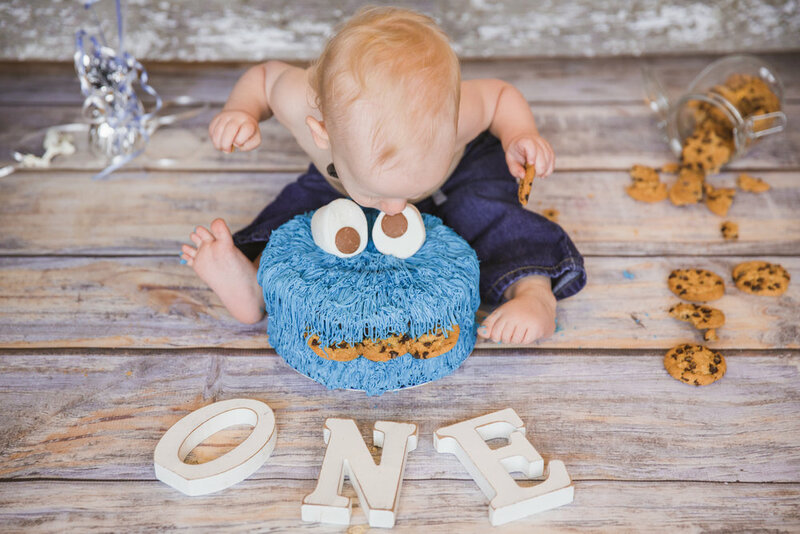 Not a problem, we can do more pictures of a Birthday Boy / Girl by him/herself with different props as well as more family / sibling shots. It is not necessary. I will bring different adorable outfits, hats, headbands and props, however if you prefer to use your own clothes, it is absolutely fine. 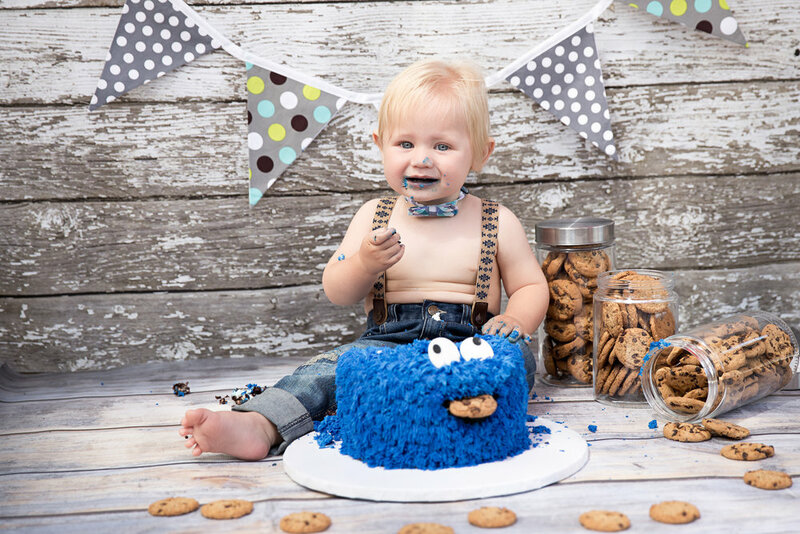 Parents love jeans with suspenders and a bow tie for boys and rompers or dresses for girls. We can discuss colours, props and outfits in more length during our consultation session. How long will the cakesmash photoshoot take? 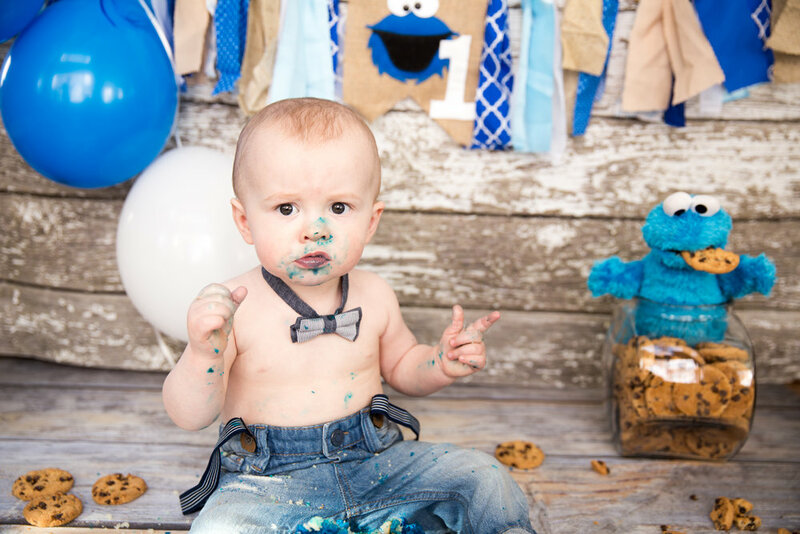 Smash and Splash / 1st Birthday photo session may take up to 2 hours.